This recipe has me sooooooooooo excited. 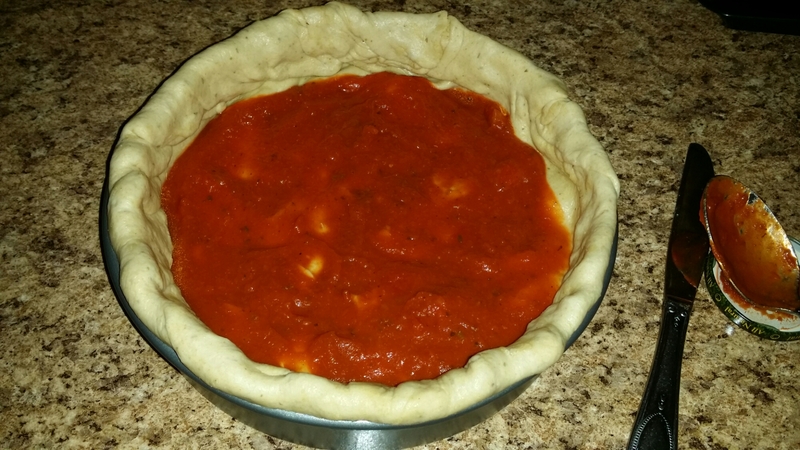 First, because I’ve really been wanting to try to make a deep dish pizza. Secondly, because it turned out sooooooooooo well. It’s nice to surprise yourself with your own cooking. I must admit that I was a bit nervous as to how the family would like it. All I have to say is by the time I went to get more…..it was all gone. 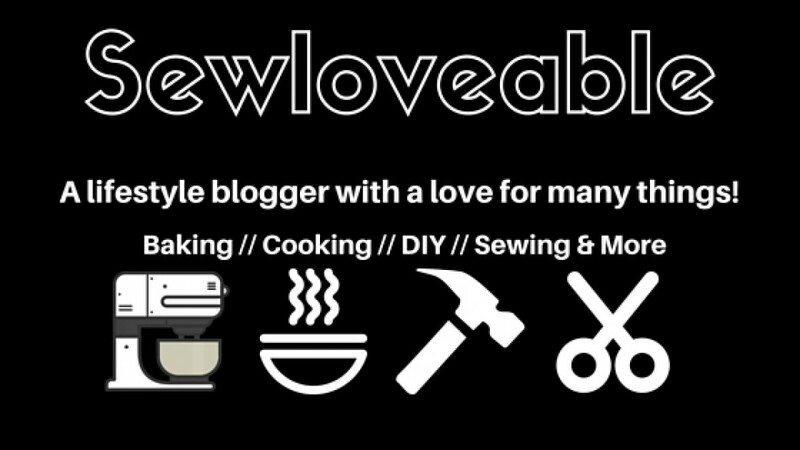 Which was great because it was a hit and sad because I really wanted another piece.😯 Oh well at least I have a recipe now…..that is easy to replicate and allows for tons of creativity, tailored to your needs. 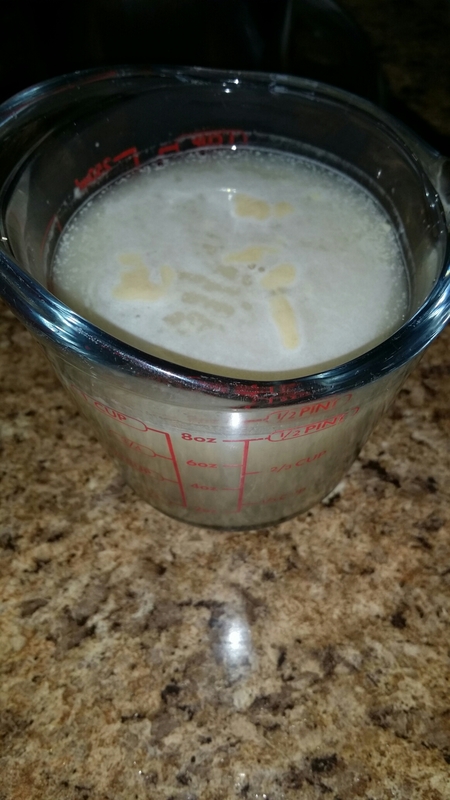 In a measuring cup add your water, yeast, and sugar. Mix well and set aside for 5 minutes. In a food processor or large bowl add the water mixture and 1 Cup of Flour and mix, add another cup of Flour and mix, add the last cup of Flour, oil, salt and seasoning and mix until you have a ball of dough. 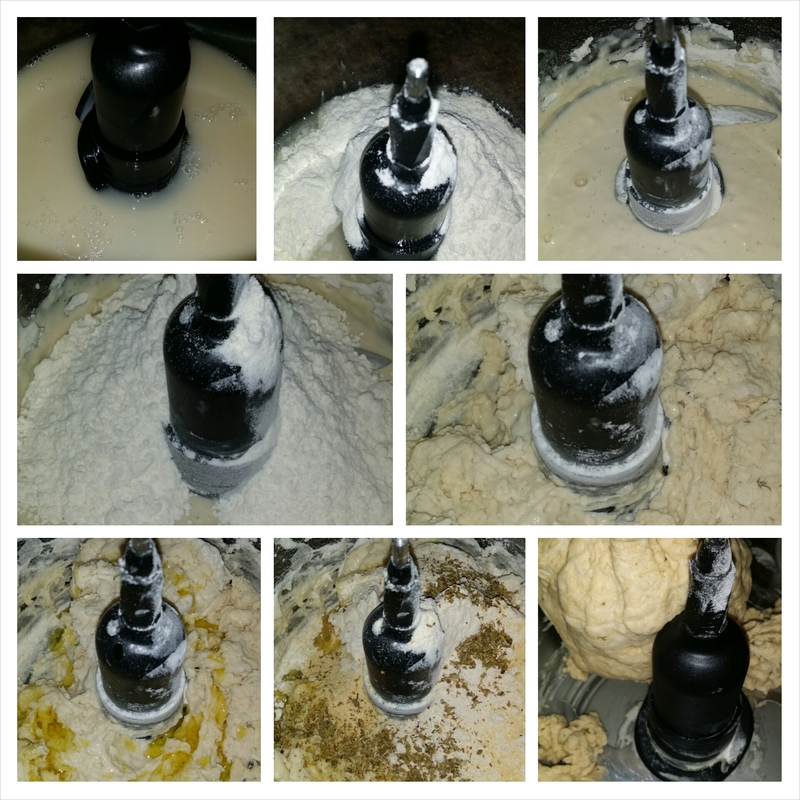 Knead your dough…..no need to add flour to the counter. 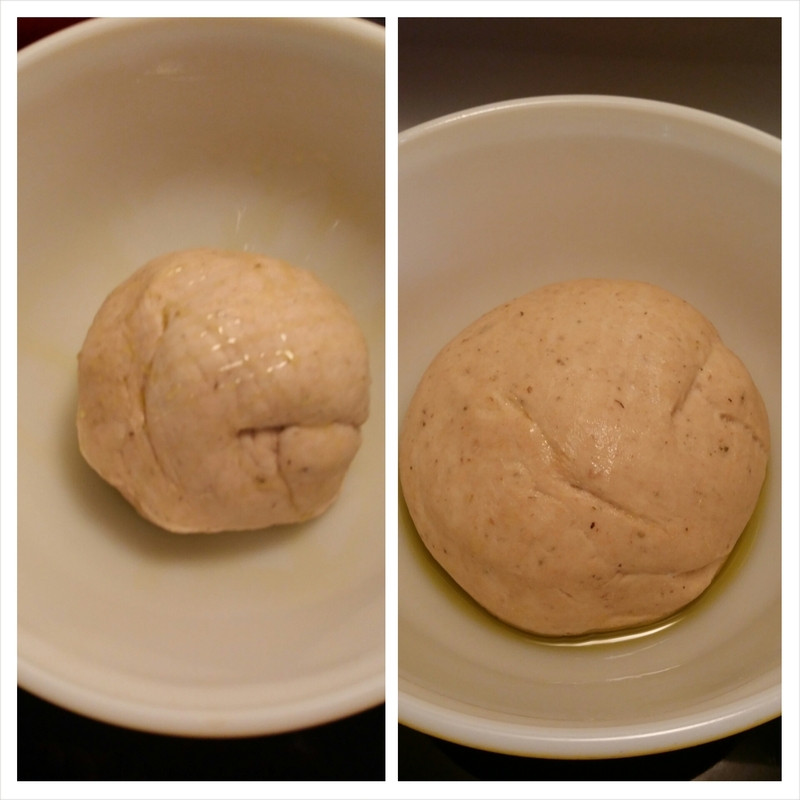 Drizzle a large bowl with olive oil place your dough inside and drizzle a little olive oil on top. Cover with plastic wrap and let it rise in a warm spot for a minimum of 30 minutes or up to overnight in the refrigerator. 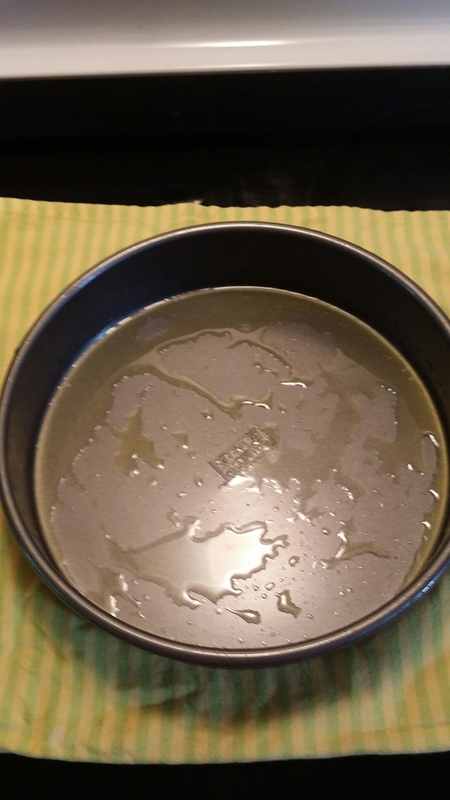 Grease a 9×2 inch baking pan with olive oil. Start prepping your toppings of choice. 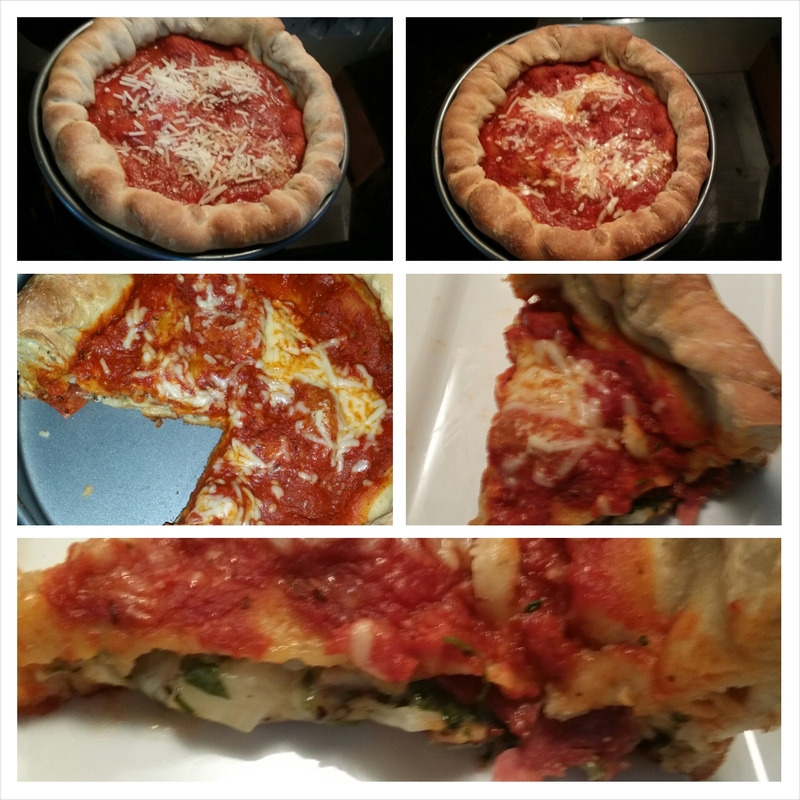 I decided on Mozzarella cheese, Turkey Bacon, Spinach, Turkey, Marinara, dried Basil, Cracked Black Pepper, and Onion. With a rolling pin roll out your dough, larger than your baking pan. 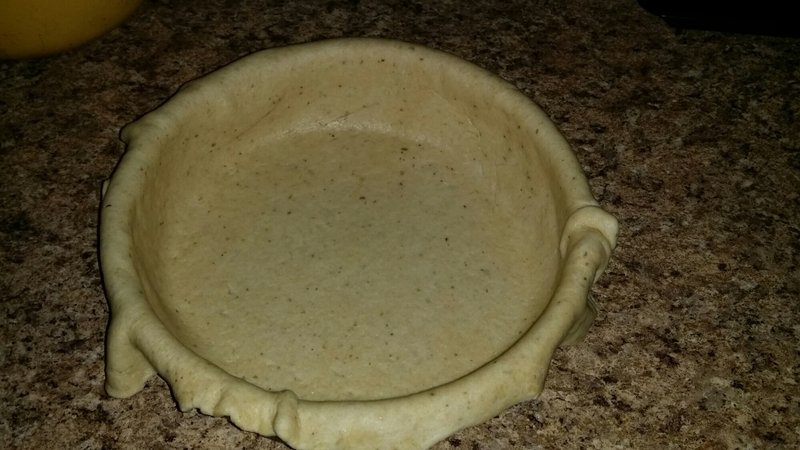 Lay your dough into your pan, making sure to get out any air bubbles. 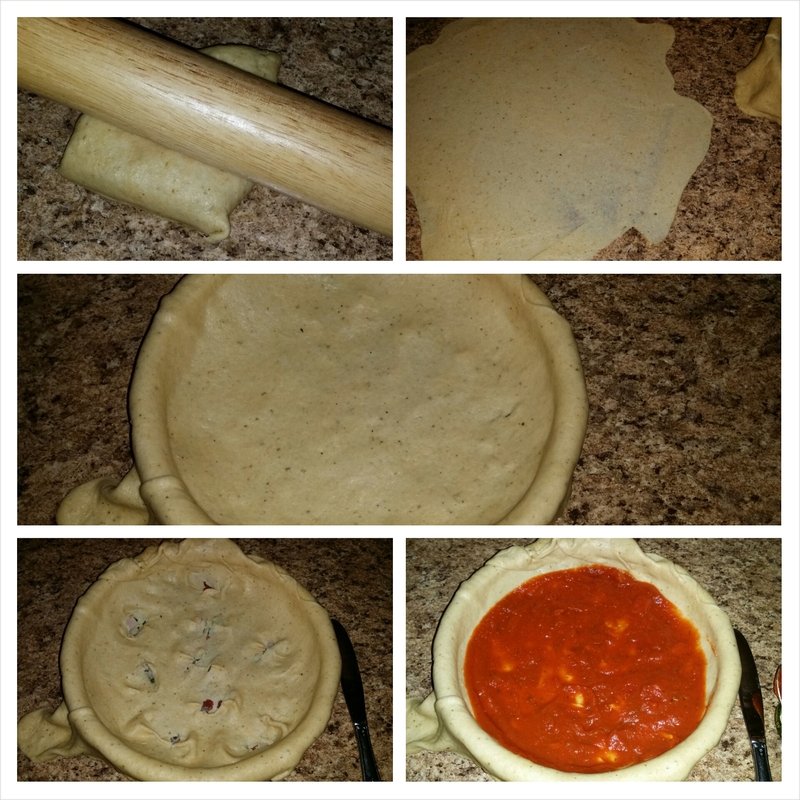 Roll out the dough you set aside lay it into your pan again making sure to get out the air bubbles. Tear a few hole into the dough to allow the steam to escape while cooking. Spoon on 4 tablespoons of marinara sauce. 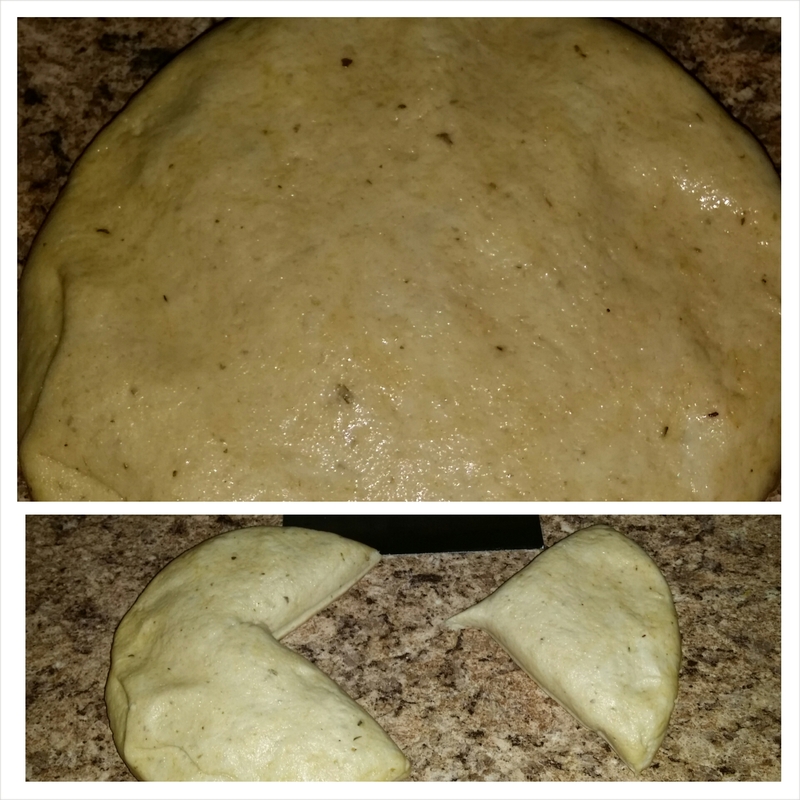 Roll the dough so that it overhang onto the pan. Place on the bottom rack and bake on 450° for 20 minutes. 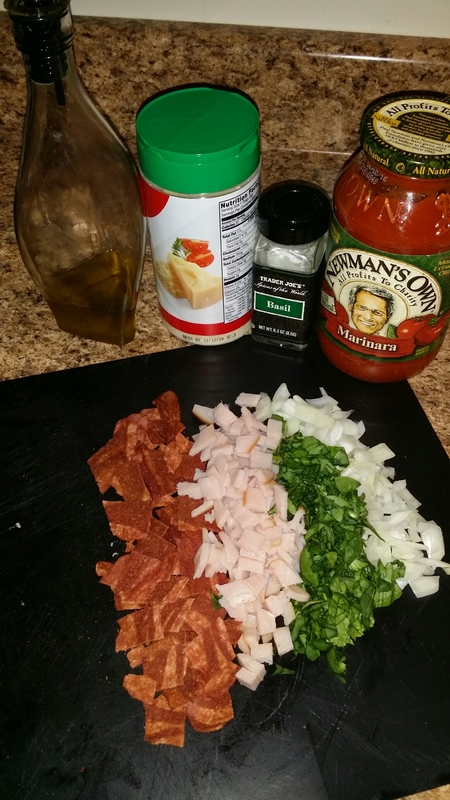 If you like you can top with Parmesan cheese or cheese of choice after 15 minutes. 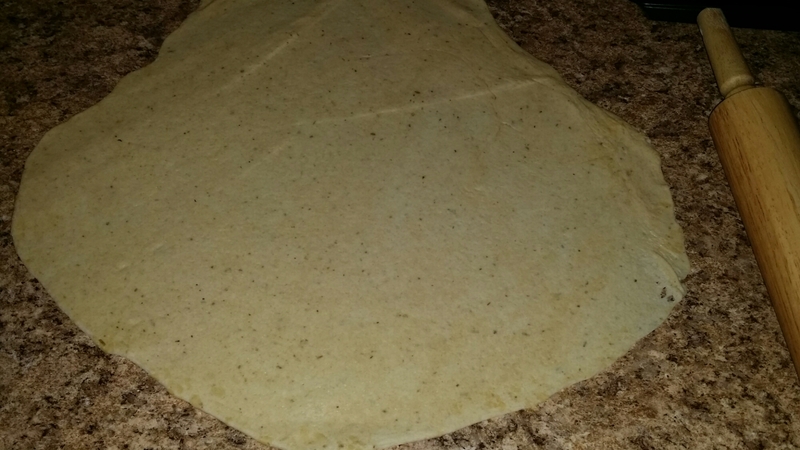 Once done…..let it cool for 10-15 minutes. Lol…..thank you!!! This dish was a big hit in my household. Wow…per usual, you are bowling me over with your culinary skills!! 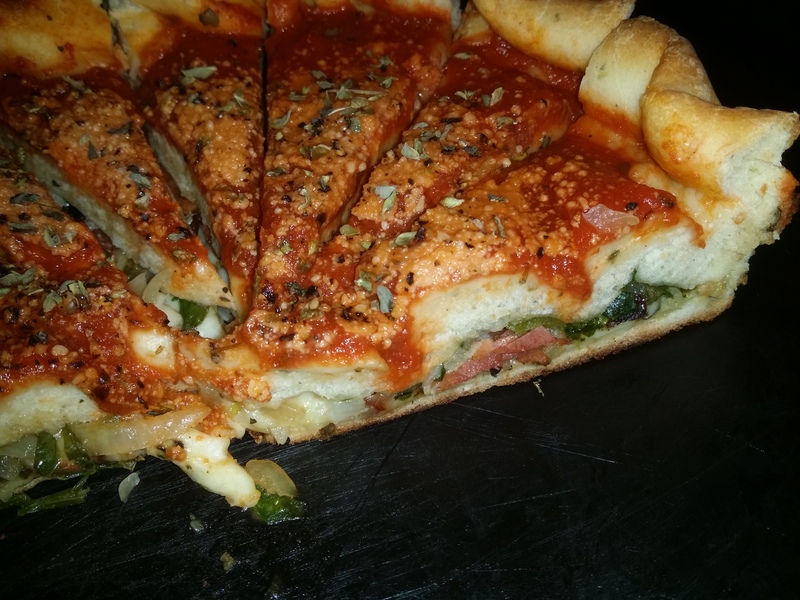 That crust looks amazing!!! !